Imagine that you’ve been in an accident. You’re stressed out, your back and neck hurt, and all you want is for someone to help make your headache go away. We know lawyers’ offices and insurance adjusters are bombarding you. All while stressing about how you will get to and from work and doctor’s appointments. That’s why Arkansas Chiropractic goes above and beyond to get you the care you need. That includes helping you file and settle your claims. We understand that when you are out of work or short on cash due to an accident, medical bills are the last thing you need. That’s why we bill the responsible party and receive payment from them – not you. After an accident, it’s tempting to make a quick settlement with the insurance company, but quick settlements often mean smaller payouts. 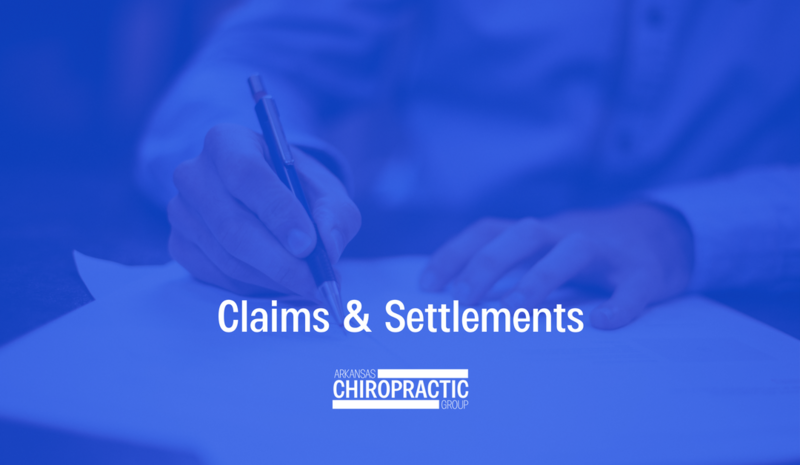 Any insurance company looking to make a reasonable offer will require that your injuries are documented. For example-having written statement from a doctor. Doctor documentation often leads to a claim being worth three or four times as much. We know how much the insurance company should give you and will make sure they do it. Let us help you get on the road to recovery! We have clinics in every corner of the state with trained doctors and staff here to help you get the relief you deserve. Head over to Arkansaschiropractic.com today!